From Provocraft is the Cuttlebug Plum Blossom embossing folder set. 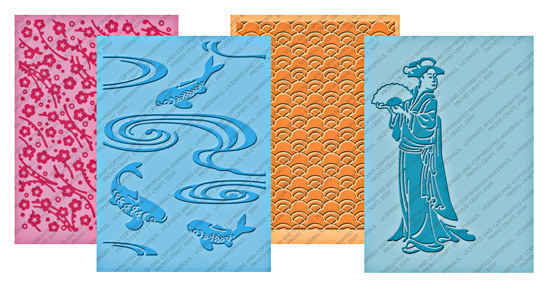 This set includes four embossing folders in an eastern oriental theme! Transforms plain surfaces into beautifully textured works of art.